St. Catharines, Canada, Sept. 28, 2011 – Eric Kupperstein (Cohasset, Mass.) placed first in the International Powerlifting Federation (IPF) 28th World Men’s Masters Championships. 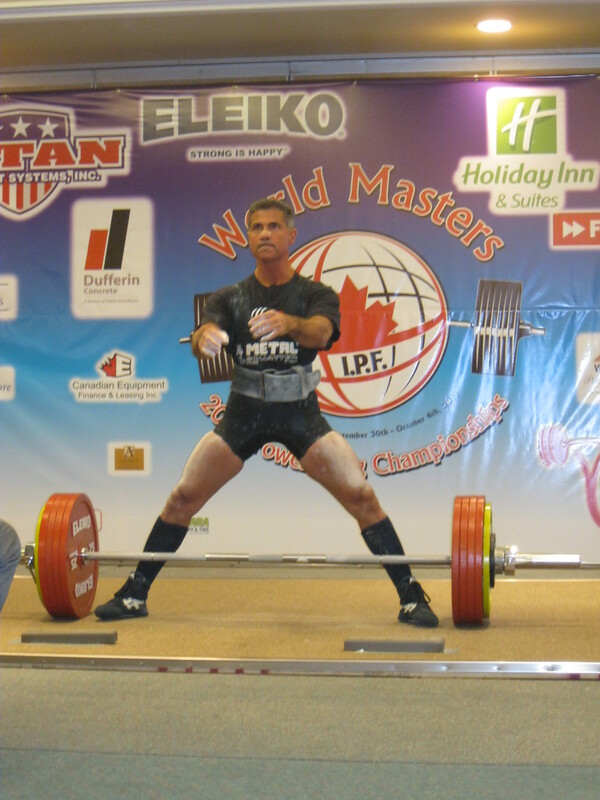 In route to his victory in the Masters 1 (age 40-49), 59Kgs/130Lbs division, Kupperstein deadlifted a new world record of 245Kgs/ 540.1Lbs. 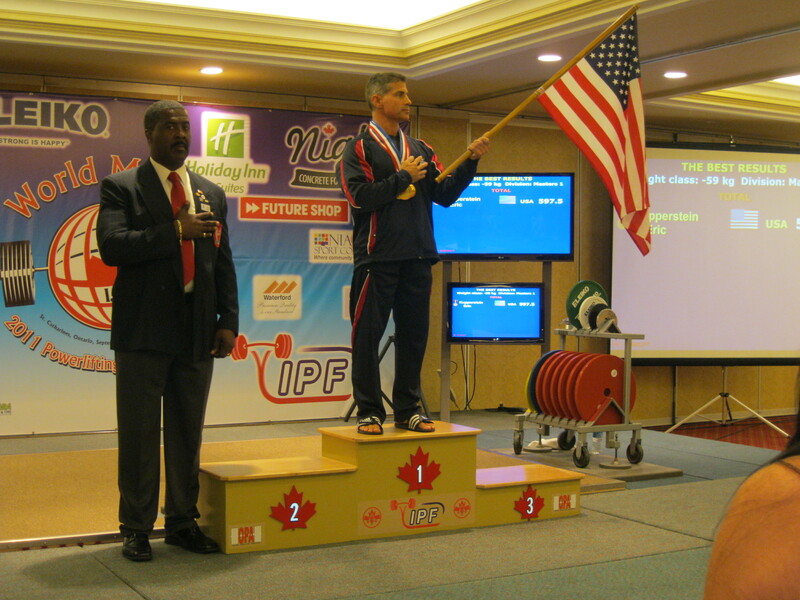 Kupperstein is veteran of USA Powerlifting (USAPL) and IPF competition. He earned the chance to represent the United States with his victory as USAPL Masters Nationals earlier this year. Along with Kupperstein’s deadlift, he Ssuatted 220Kgs/485Lbs and bench-pressed 132.5Kgs/292.1Lbs for a 597.5Kgs/1,317.2Lbs total. In the United States, USA Powerlifting has representative chairs in 44 states. Each state chair is responsible for overseeing the development and implementation of USA Powerlifting’s local competitions, state championships and state records. USA Powerlifting operates as a 501(c)(3) non-profit organization. You can find out more about the organization nationally at www.usapowerlifting.com and locally at www.mass-lift.com . These drug-free, amateur athletes are powerful role models in the world of competitive sports! Their dedication, hard work, and winning attitudes are a testament to the purity of competition for the love of their sport. In a world where steroids and other performance enhancing drugs have become the norm, USA Powerlifting stands apart.